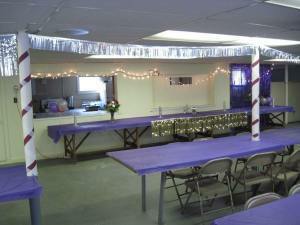 The Capital City Grange is available for rent! To rent the hall, contact Merry Shernock: rentals@capitalcitygrange.org or (802) 229-9425. To see examples of the many ways our Hall has been used, see the photo gallery. All kinds of events happen at the Grange, and we’d like to host your next event! Ample, offstreet parking for about 125 cars, with 4 reserved handicap parking spaces adjacent to the ramp entrance. Affordable rates: Rates vary depending on day of the week and time of day, and frequency of use. See the ” FOR MORE INFORMATION” links below. Then email the rental manager at rentals@capitalcitygrange.org, or leave a message with your email address at our voicemail: (802) 229-9425. 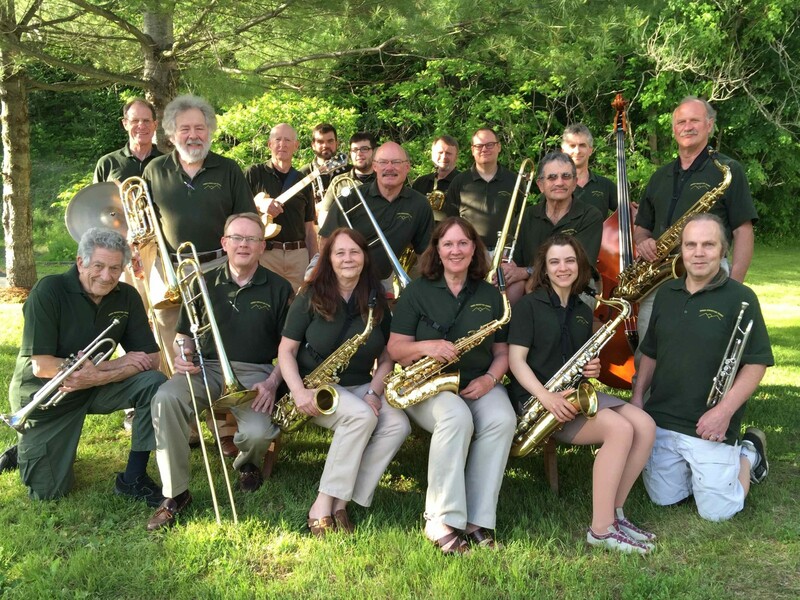 We have also hosted rehearsals for music and drama groups, birthday parties for children and grown-ups, and a tomato canning workshop by the Vermont Department of Agriculture. Dance events have included workshops and performances of a wide array of styles: contra, swing, tango, African, Afro-Caribbean, Afro-Cuban, waltz, square dances and more. We welcome inquiries from private and public groups. Renters are responsible for arranging with the rental agent to pick up a key before their event. The members of Capital City Grange #469 require that all renters have personal liability insurance for their own protection. The grange hall rental agent can advise on options. 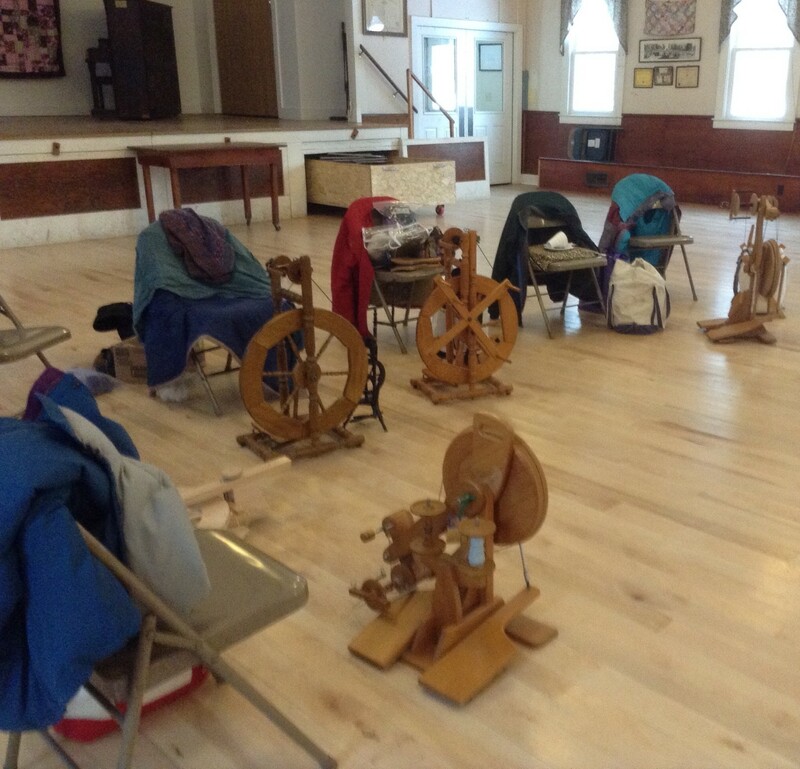 At a recent gathering at the grange hall, many people ate inside, at tables set up on the red vinyl floor covers that have expanded our use of the main hall. 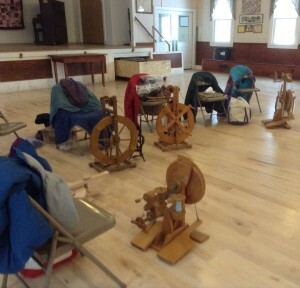 A spinning group recently rented the Grange Hall. 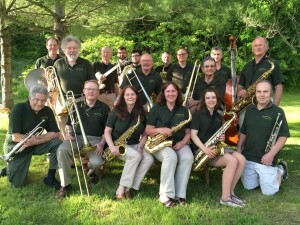 The Green Mountain Swing band recently played on the Capital City Grange Hall stage and a rip snortin’ time was had by all.